Poisoned Pen Press, 9781464206979, 376pp. Henry's friends had all been led to believe that the wealthy landowner had died in a much more respectable way. Rowland and his elder brother, Wil, had avoided any discussion of the event ever since-in fact the whole family had ducked the issue for over a decade, keeping secret that Sinclair senior was murdered. The possible involvement of the teenage Rowly and his older brother's intervention has been under the radar as well. With cameo appearances from historical figures-Bob Menzies in the Sinclair kitchen, Edna Walling in the garden, and Kate Leigh grinning lasciviously at Rowly in a jailhouse crowd-and a real sense of fun contrasting with the quite genuine tension, this is historical crime for those in the know and those who can barely remember what happened last weekend, a story of family secrets and fraternal loyalty. Despite the humor, the Rowland Sinclair Mysteries take a deadly serious look at the 1930s, reflecting our own tumultuous times. After setting out to study astrophysics, graduating in law and then abandoning her legal career to write books, Sulari now grows French black truffles on her farm in the foothills of the Snowy Mountains of NSW. 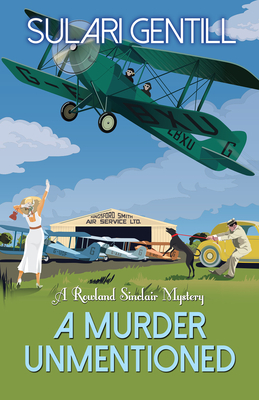 Sulari is author of The Rowland Sinclair Mystery series, historical crime fiction novels (eight in total) set in the 1930s. Sulari's A Decline in Prophets (the second book in the series) was the winner of the Davitt Award for Best Adult Crime Fiction 2012. She was also shortlisted for Best First Book (A Few Right Thinking Men) for the Commonwealth Writers' Prize 2011. Paving the New Road was shortlisted for another Davitt in 2013.